MSOG - Jade Golem Mechanics! 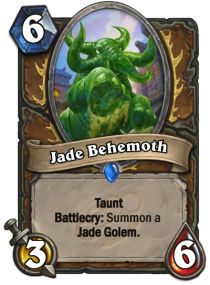 The Jade Golem works sort of like C’Thun, only slightly more influential and including more card synergies. 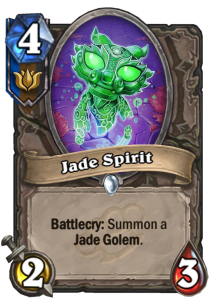 For starters, a Jade Golem is a 1/1 when summoned the first time by an effect (the card itself does not exist to be put into a deck, but it can be summoned by various effects). For each time one is summoned, however, the stats increase by +1/+1. So the second time you summon one, it will be a 2 mana cost 2/2. The third, a 3 mana cost 3/3, and so on. These stats scale infinitely, so don’t be afraid to spam them as much as possible. 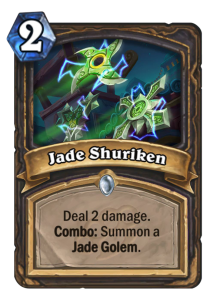 Some of the cards we’ve seen that combo with this mechanic include Jade Spirit, Jade Lightning, Aya Blackpaw, Jade Shuriken, and more. A full list will be included at the end of the article. 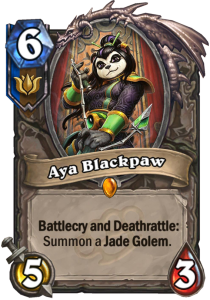 Aya Blackpaw will easily be an auto-include in Jade Golem decks. A 6 mana 5/3, this Legendary minion has both Battlecry and Deathrattle: Summon a Jade Golem. 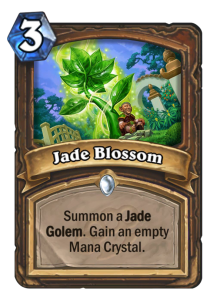 This card, by itself, is enough to buff the Jade Golem twice in a single play, as well as summoning them onto the board separately. This can combo with the Jade Spirit, a 4 mana 2/3 for Druid, Rogue and Shaman classes that, quite simply, summons a Jade Golem when played. These decks, much like C’Thun, not only appear decent, but also can serve as more beginner style decks, as they can provide a seriously strong board presence that can easily snowball into a victory, and also a very clear win condition. On a final note, this mechanic works with the Shaman spell Evolve, which is why I mentioned the mana costs of each Golem earlier in the article. This can lead to some serious board presence, which is why Shaman could end up being a good class for this archetype. 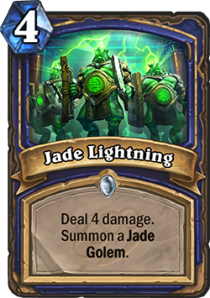 However, Shaman already seems to have a good amount of tempo cards that easily outclass the slowness of the Jade Golem, so perhaps Rogue or Druid will end up on the better end of the deal? 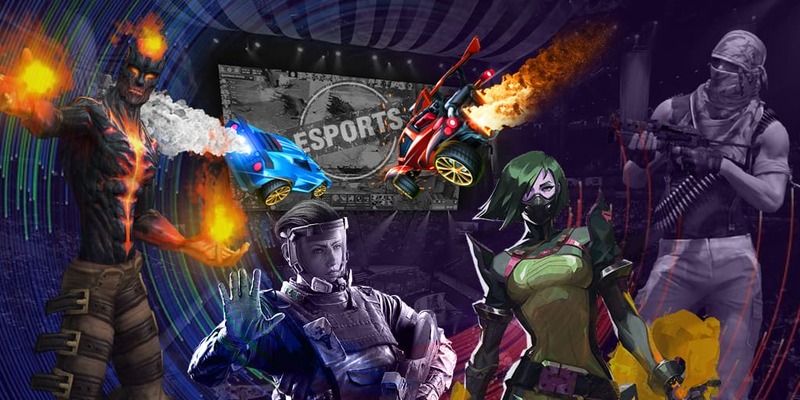 Let us know what you think below!